Your friend or relative has worked hard to reach this milestone. React in kind with a considerate graduation greeting that shows you really care. With the right eCard, slideshow, or collage, you’re on your way to saying “congratulations” with a memento that will make them smile. Your search for the ultimate graduation greeting will result in overwhelming choice. That’s why we’re here to give you some direction in picking and personalizing a graduation greeting to suit your taste, and that of the graduate in question. 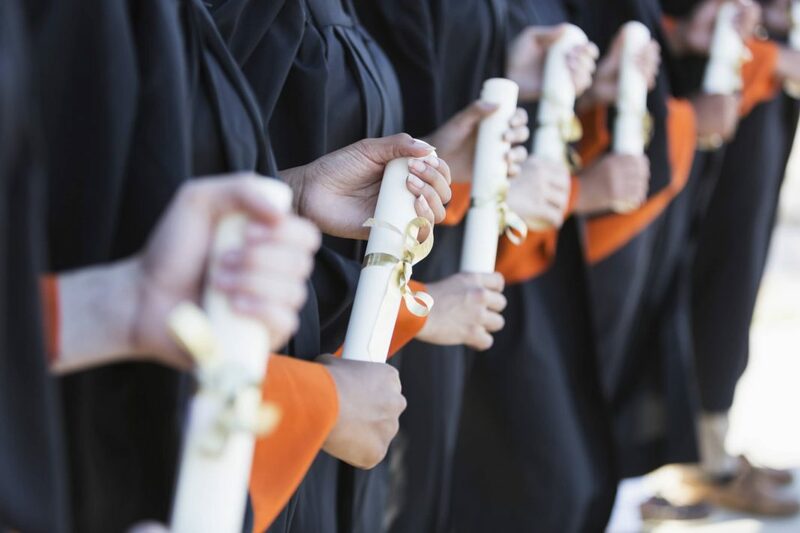 Read on to discover our recommendations for the perfect matriculation message. 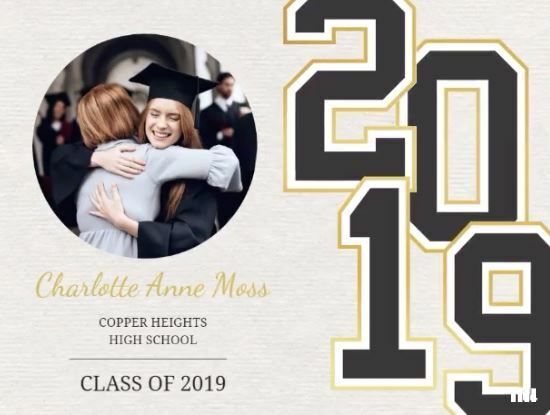 With a bit of talent, a hint of inspiration, and a small investment of time, you can create a graduation greeting that is breathtakingly beautiful. A good starting point is to add a few photos of you and the graduate together. Have lots? No problem – just go for an online slideshow or collage that allows for multiple images. Next, add personalized text. You can write about a common theme or memory in the pictures that you added. Or, if you are lyrically inclined, compose a few sentences or even a poem about your pride, their achievement, and your hopes for their future. Sometimes it’s tough to define your relationship with someone as strictly “friend”, “family”, “best pal”, etc. 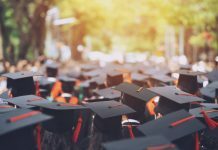 Only the two of you understand your unique bond, so finding the right graduation greeting might need to go beyond the standard categories. In this case, we suggest you pick a template that can be customized to the max. An ideal eCard or slideshow will allow you to personalize essentially everything about it, from the main message to the colors and music. If you’re gushing with feelings on this occasion, then let it all pour out with lots of text. Or, if you just can’t find the right words, say it with photos. Usually, it’s the graduate who says thanks to the people who have supported them. But, in some ways, family and friends should express their appreciation for the effort the graduate has put forth. After getting many hopes and efforts pinned on them, kudos should also go to the student who has brought pride to so many people. 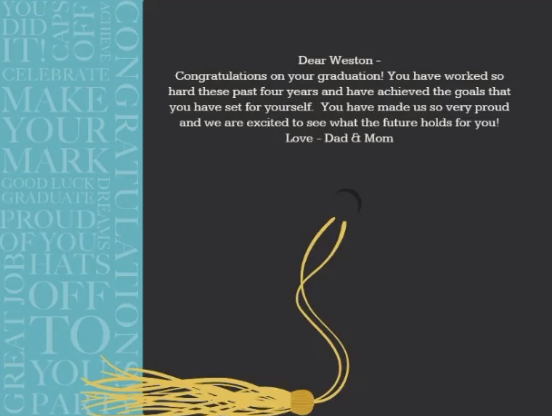 So, in this case, you might think about using a thank you card template as a departure from the usual graduation theme. Of course, with an easily-personalized eCard or slideshow, you can do both. The old-school approach is often perfect for a graduation greeting. Your eCard or slideshow can be steeped in tradition, just like the ceremony is. Even for free-spirits, receiving formal congratulations will send the message that this is a historic occasion for everyone. 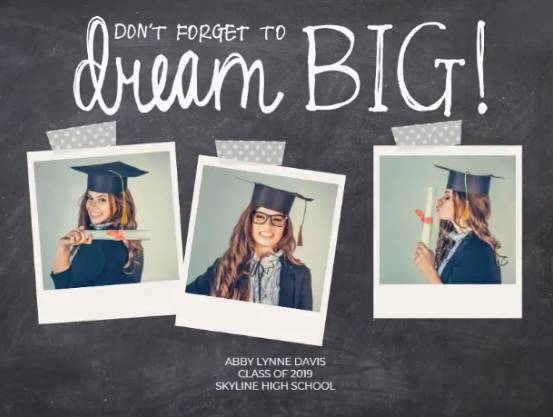 Making traditional eCards for graduation is easy with platforms like Smilebox. Alternately, you might consider forsaking the digital era altogether by picking up a paper card at your local post office or stationary store. 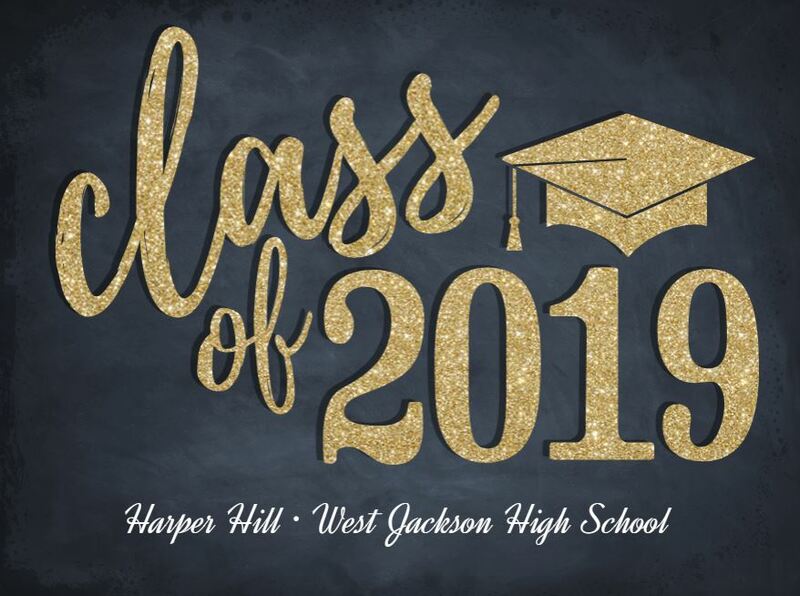 That way, the next time you visit your grad, you may just find your card displayed for all to see. Many students are happy to get through the program and move on, but others don’t realize that they might not ever hang out with all the characters and supporters that they met along the way. Keep your friendship alive by sending the graduate a sincere request to stay in touch, plus all of your contact details. Follow up by initiating contact whenever they cross your mind, or when they reach their next milestone, and prove that you’re a long-term compatriot. Nothing is more memorable than a good joke – the more personal, the better. 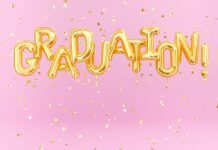 Your graduation greeting will really stick out from the crowd if you poke fun at the graduate in all their seriousness, or if you remind them of some of the crazy times you went through together. Chances are that you have some hilarious pictures of the graduate on one of your devices, so make sure to include that in your eCard or slideshow. Graduation can be a scary time for some. Graduates worry about finding jobs, making the grade at their next school, or even moving to new places. Let them know that you will support them during this trying period in whatever way you can. You can even get specific, if you know where they are going, in the text of the card. New school? Perhaps mention that you have a contact there. Looking for work? Provide suggestions or drop a few names. Need a few bucks? Drop a hint that you’ll be glad to support them with some cash. 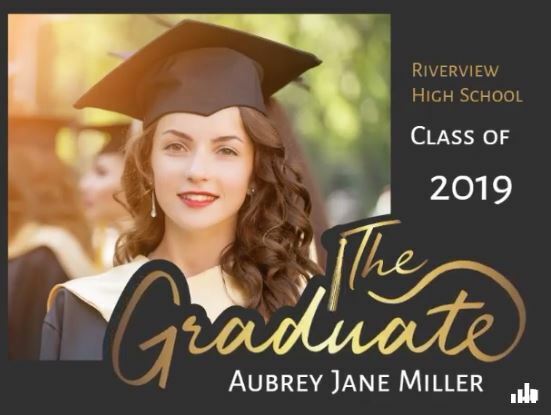 Creating Graduation Greetings Has Never Been Easier! Your friend or relative has worked hard to reach this milestone. React in kind with a considerate graduation greeting that shows you really care. With the right eCard, slideshow, or collage, you’re on your way to saying “congratulations” with a memento that will make them smile. So, what are you waiting for?! Head to Smilebox and make your own graduation greeting!